Part of being a writer is finding funds to support yourself, particularly when your writing tastes run to expensive forms such as theatre. At the moment I am orchestrating three such applications to different Councils to help fund Blaxland and Daughter's current show CROSSING, written to commemorate the early crossings of the Blue Mountains. 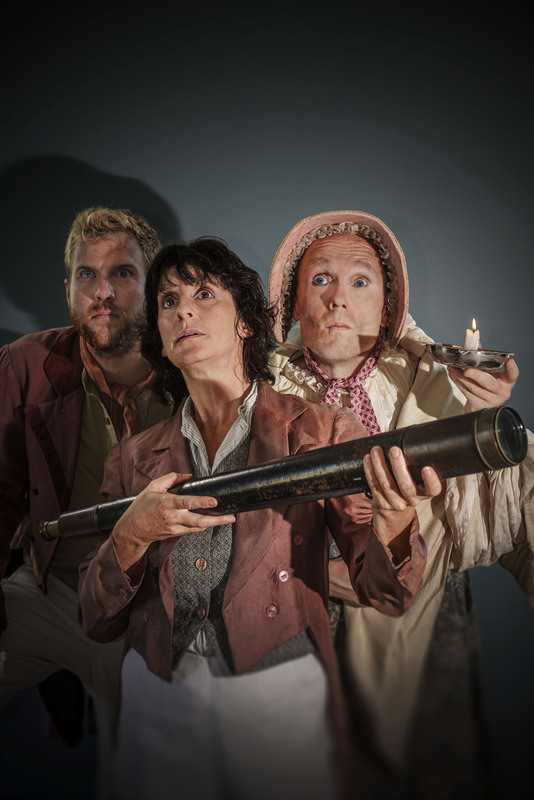 A lively interactive show with three actors taking over forty characters to bring history alive, CROSSING will play in primary schools and public performances throughout Sydney, the Blue Mountains, Bathurst and even Orange in Term 3 2014 and Term 2 2015. Want to find out more? Visit www.blaxlandanddaughter.com . I am working from historical material at the moment. 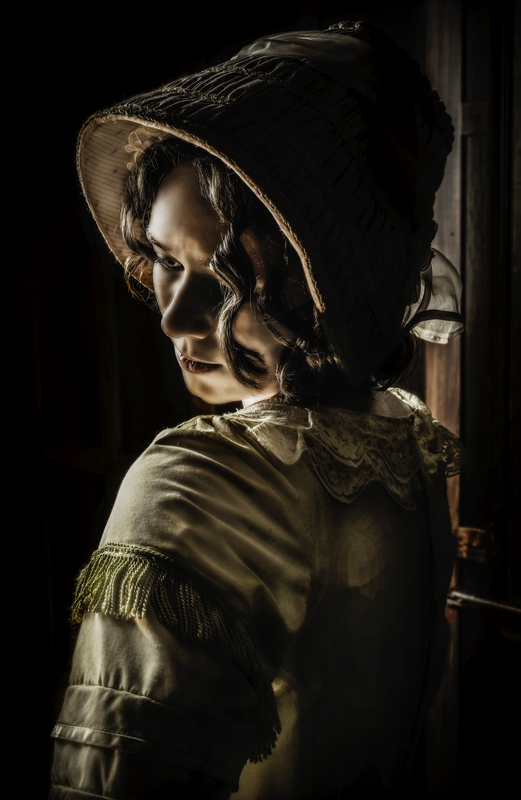 My first project, Pioneers in Petticoats, is a play about Australian women in colonial times. 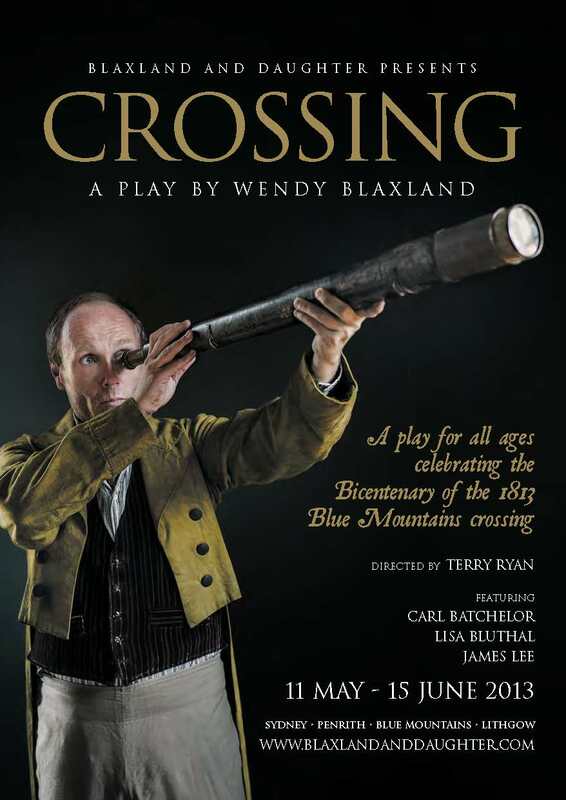 It follows from last yearâs successful play CROSSING, a play written for the Bicentenary of the crossings of the Blue Mountains, in one of which my ancestor Gregory Blaxland took part. Like CROSSING, Pioneers in Petticoats will have a short version for primary schools and a longer one for families in public performances, which will include more material. Pioneers will bring to life a number of feisty, extraordinary women from Australiaâs past, such as Mary Bryant, a convict who stole a small open boat with her husband and others and escaped in it, with her two young children, all the way to Batavia (Indonesia). Then thereâs eleven-year-old Eliza Hawkins, who travelled with her family on a bullock dray to Bathurst, painter and scientist Fanny Macleay who kept busy looking after her eight younger siblings while helping her father with his insect, shell and plant collection, Matilda Fish who owned one of the early land grants on Sydneyâs North Shore and was robbed (twice) by bushranger William Geary, and much-married exotic dancer Lola Montez, whose exploits (including horse-whipping critics she didnât like) fascinated the Victorian press from Bavaria to Ballarat. Iâm also gestating a novel for young people about Eliza Hawkins, based on her motherâs vivid account of the crossing of the Blue Mountains and other family documents. Oh, and a Babies Proms play for the Opera House this Christmas. 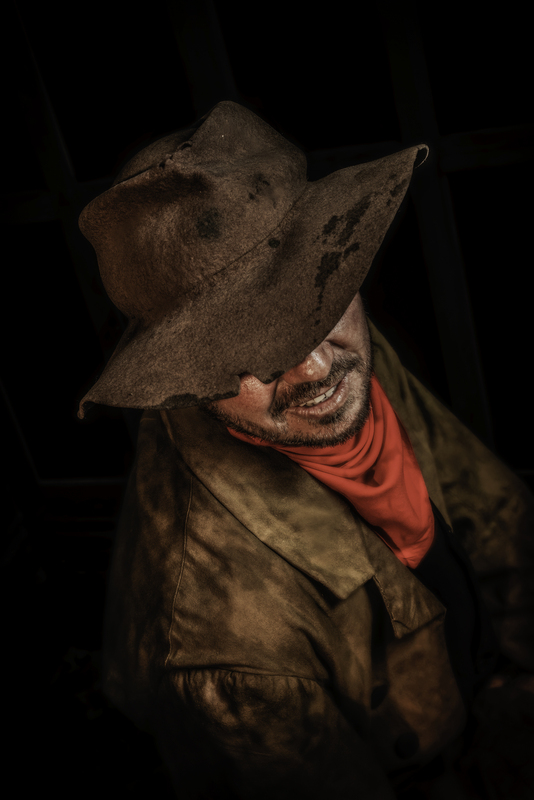 Very few other people are producing plays for young audiences based on historical characters; yet this is such a vivid way of engaging them with the history of their own country. It takes both wide and deep research (and generous historical consultants to check my script) to give an authentic idea of what life used to be like, especially for women. I write about topics that fascinate me: real life events that still give me space to create my own characters and voices; but I also write about topics that producers or publishers suggest. Anything can be wonderful if you have the right attitude. I love creating. With my historical work, I look first for riveting stories that make me want to find out more. Thatâs my next task: finding out as much as I can about the real story and characters, their society and others like them. Then I have to leave my source material behind and create a play or novel that has its own structure, rhythms and characters, so that it lives. Now I know the process I can feel when the characters begin to stir inside me, and speak with their own voices. Then I need to write and discover the form that best fits the material â poems and songs are also part of my plays - and read it out loud again and again to find out whether it works. Next I test it with colleagues like my co-producer daughter, the director and actors, before a final script emerges. I work with composers and designers to bring in the elements of music, set and costumes. Theatre is a very collaborative process â and so is writing a novel, where a good editor is a huge help as they query, support and suggest. Here's a poem for you! 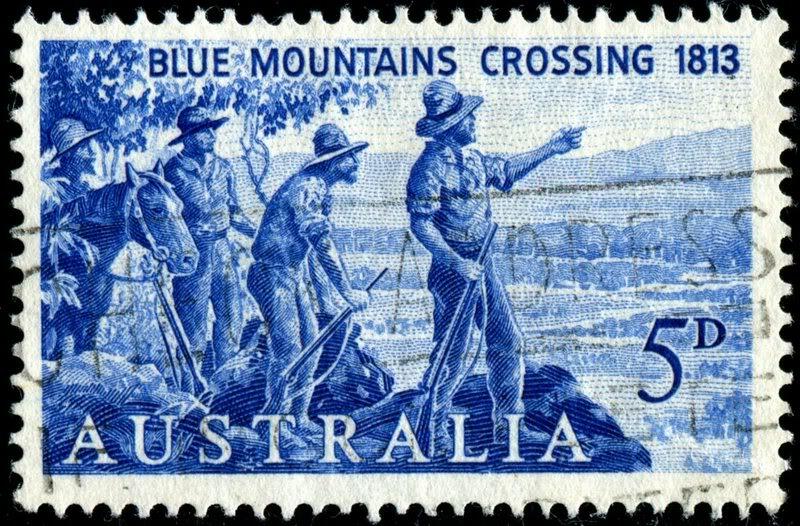 To celebrate International Poetry Day, I'm sharing part of the CROSSING play: a poem called 'Build a Road', commemorating William Cox and his party of 30 convicts who constructed the first road across the Blue Mountains in six months during 2013 and 2014: what a feat! How do you build, do you build d a road? Build a road to last? Mr Cox to lead and a good square feed, itâs enough for men like us. Weâre fit and strong, it wonât take long, weâll work without a fuss. Out in the bush in good clean air itâs grand to work at last. And then one day you look round and say, âHey men, weâre at the topâ. Cos when weâve done, weâll tell our sons we built this road to last. Yes, when weâre done, weâll tell our sons we built this road to last. 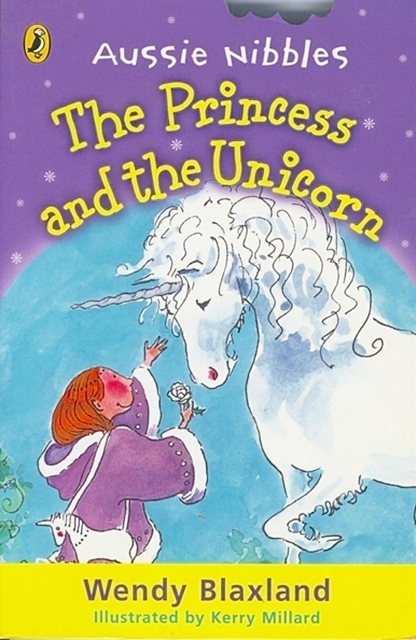 As an extra celebration, we're also giving schools which book a CROSSING performance before Thursday 27th March a free signed copy of my children's book The Princess and the Unicorn. Booking details at http://blaxlandanddaughter.com/schools-bookings/ . Saw the fabulous show Brief Encounter by the British Kneehigh Theatre at the Chatswood Concourse this evening: wonderful, heartwarming, funny, musical - devised after the story and film by Noel Coward. Some fantastic moments - and such good actors/singers/musicians/dancers. My son Tom and I absolutely loved Brief Encounter. It combinsd an awareness of the essential advantage of live theatre (the presence of an audience) by deliberate interaction with the audience, with ways of using other media such as film to enhance the live action. I also admired the clever way actors stepped from one medium into the other. I enjoyed the use of music, both well-known songs and purpose written ones, and was in awe of actors who could act, sing, dance AND play musical instruments. Loved the humour, the counterpoint of three stories on the one theme, the use of actors playing a number of roles, the dance sequences, the clever use of props, puppets, even circus effects, the characterisations, the switch of pace and use of movement and image to show emotional impact. Adored the train, of course, and the dogs; these were highlights. Makes me proud and glad to work in theatre â and I learnt a lot as well as just simply enjoying myself thoroughly. Just go see it, please! Just home from a lovely friendly meeting (as always) at St Kevin's School, Dee Why (thanks, Kirsty) of the Children's Book Council Northern Suburbs Branch. We managed to fit in both our AGM and a great talk by Zoe Bechara from Random House about her role as a publicist. 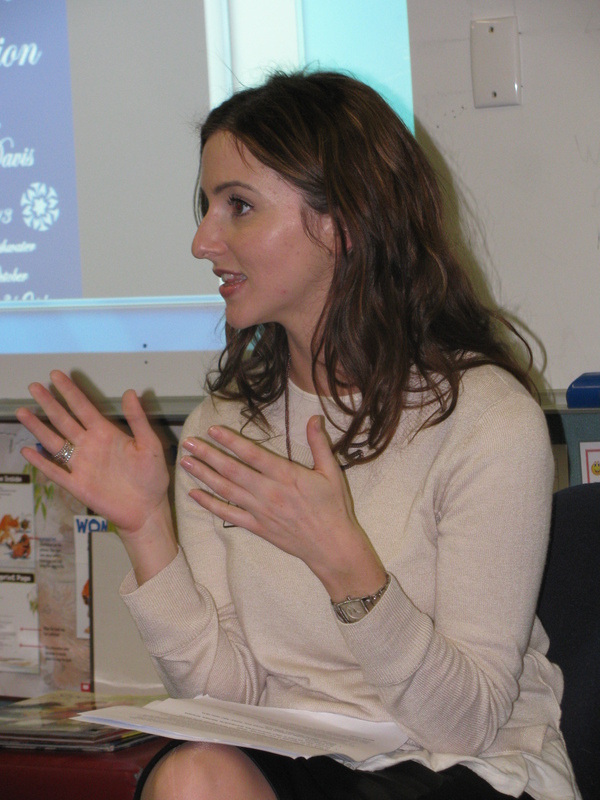 Zoe Bechara, publicist from Random House, tells us about her current role. A great exhibition last night by Leonie Robison, at the Brenda May Annexe, Danks Street, Waterloo. It is a series of sculptures which are Leonie's response to the appalling problem of infanticide: cloth sculpted aound air to show the space of absent children. Very moving; do take the chance to see it. Runs till the 28th September. So, when can you come? Wow! 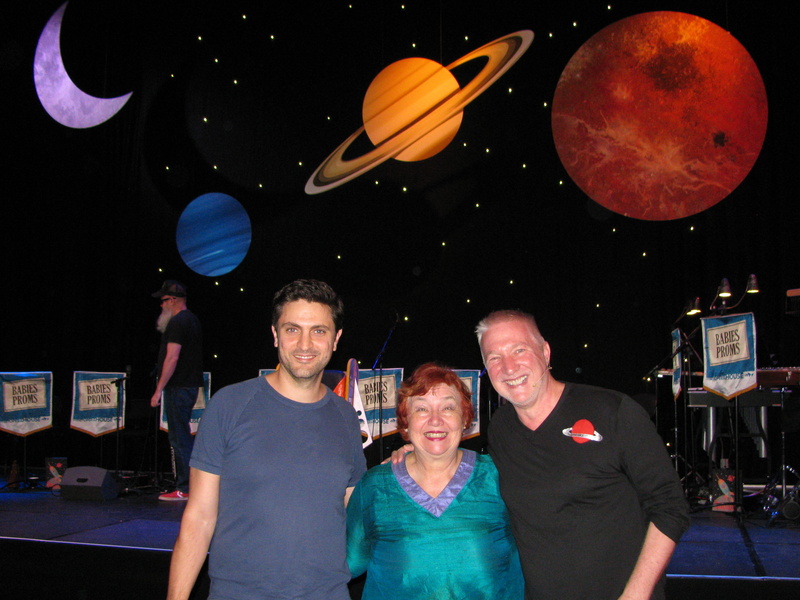 Just home and almost recovered from a hectic ten days away with CROSSING from Blackheath and Wentworth Falls through to Lithgow - and that was just a few of our public performances, while over 6,000 schoolchildren have sat entranced and rocked with laughter at schools performances as far afield as Oberon. The amazingly versatile and hard-working team of actors and stage manager has been shifting sets from our blue and yellow bus lent by the generous Blue Mountains Bus Company into school halls and venues such as Treeview Lifestyle Resort's lovely Community Centre; stage manager Jess has been up at all hours washing and ironing costumes and repairing sets with gaffer tape - and we have all fallen in love with the clean air, wide spaces and warm hearts of the people from the Blue Mountains and beyond. What an experience this is all proving, with plenty of backstage dramas that prove live drama is edgy, fascinating work. You have a last couple of chances to see this amazing play for yourselves: the Union Theatre, Lithgow at 7pm Thursday 6th June (yes, this week! 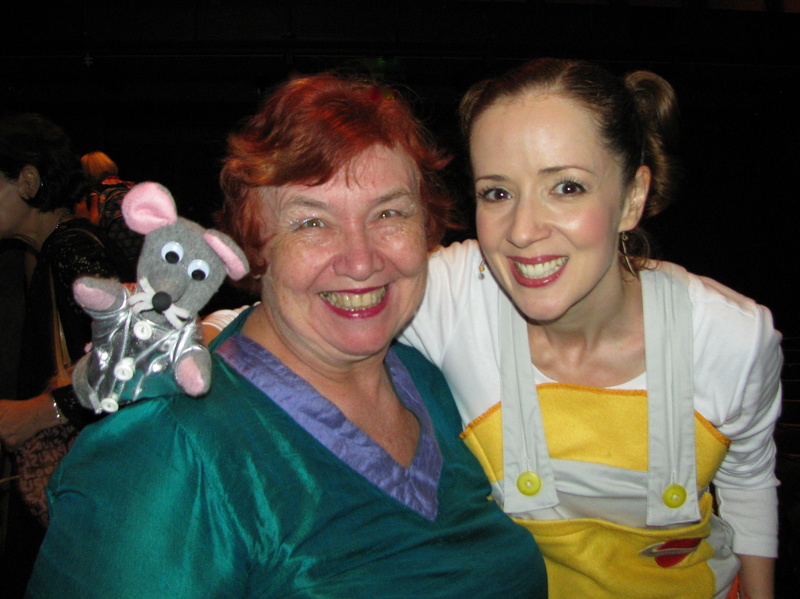 ); at Brush Farm in Eastwood 7pm Saturday 8th June (sorry, 2pm show sold out), and 2pm and 7pm Saturday 15th June at the magical Richmond School of Arts. 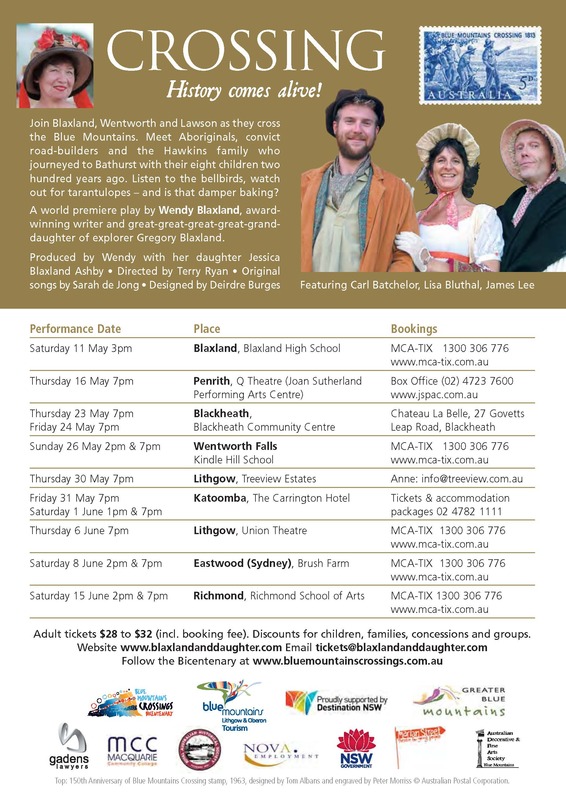 Book at MCA-TIX 1300 306 776 and www.mca-tix.com.au and find out more at our website www.blaxlandanddaughter.com. See you at the theatre! 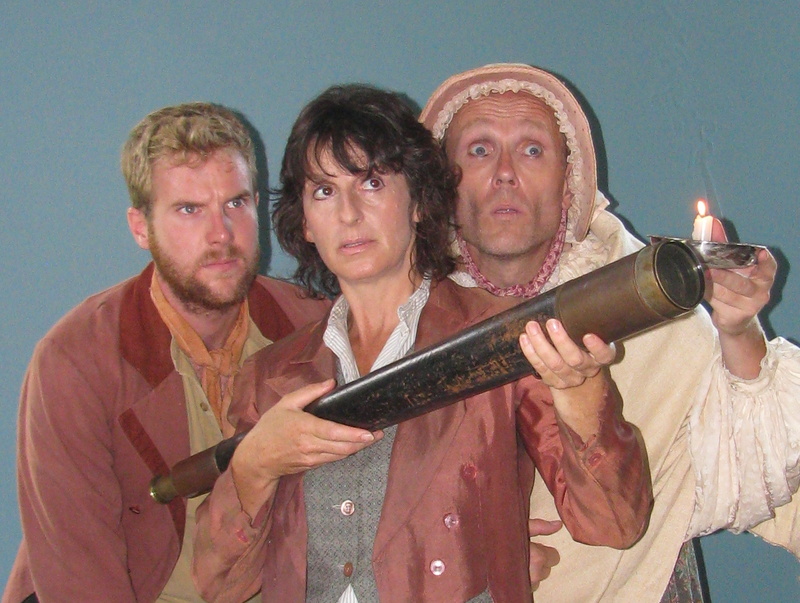 Carl Batchelor, Lisa Bluthal and James Lee play forty characters among the three of them. Live theatre at its best! Well, the Bicentenary of the Crossings of the Blue Mountains was officially launched on Saturday 23rd February at Echo Point, Katoomba, in a downpour that reminded all of us what visitors to the Mountains have often had to endure. But this couldn't dampen the spirits of all of us there. 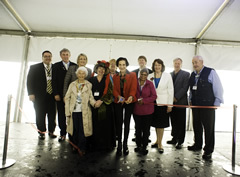 I was proud to stand between Auntie Mary Cooper-Knight of the Gundungurra mob, and Her Excellency Governor Marie Bashir, patron of the Bicentenary Commemorations. Congratulations to Blue Mountains Mayor Daniel Myles, BMLOT Head Randall Walker and everyone who worked so hard to make this event the warm and community-oriented success it was! 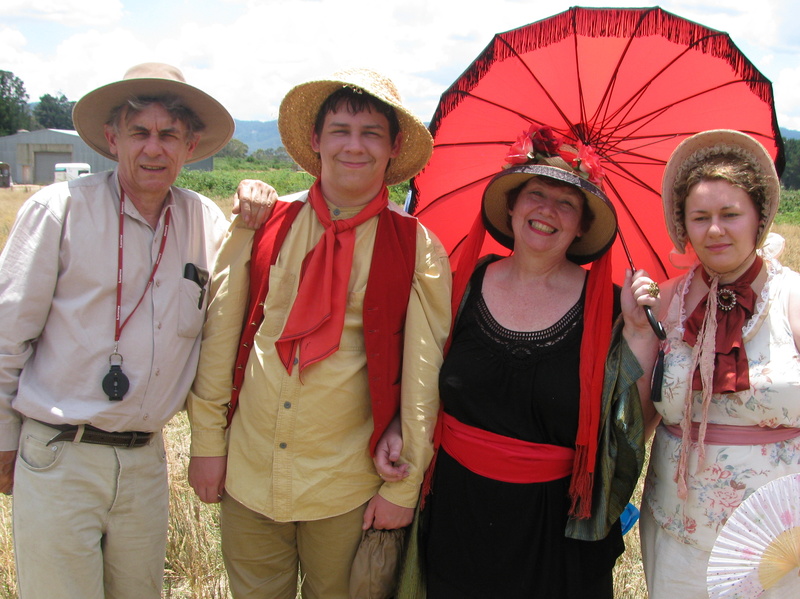 Our wonderful hard-working actors showcased a snippet from The Crossing Play with Mrs Elizabeth Hawkins and her family travelling to Bathurst on bullock drays in 1822 - with all eight of her children ranging from twelve and a half year old Tom down to baby Edward and her seventy year old mother Mrs Lilly. Meet them at the show! Details of venues trhough the Blue Mountains, Lithgow, Bathurst and Sydney at venues to be advised very soon. A clip made by VisionTV about the Bicentenary launch. Here's our gorgeous girl, who turned 26 on the 31st December. Today the sky was as intense a blue as the afternoon she was born, with treeferns pressing against our bedroom window in New Zealand. Now we have treeferns outside my study window back here in Australia...Happy birthday, Eleanor! 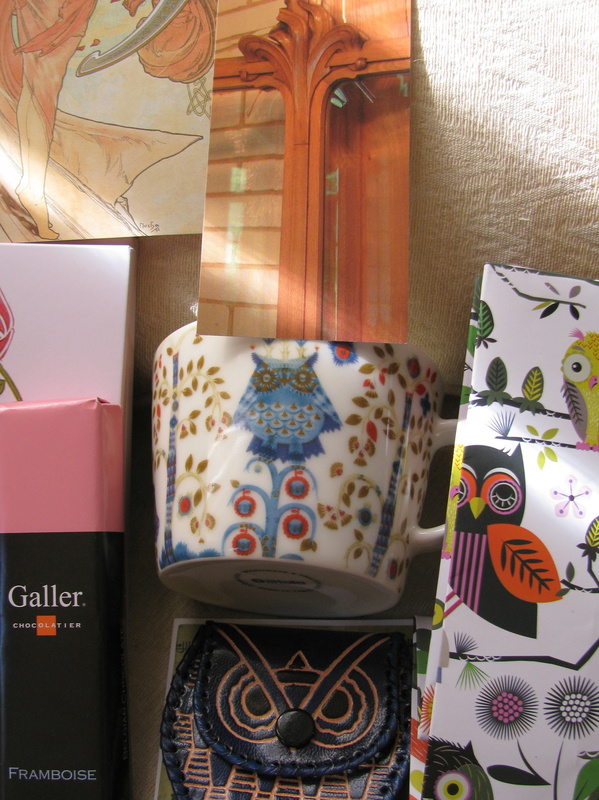 So there were owls aplenty today for her, with a mug from Finland via Norway, a purse from India via London (thanks Jess and Tom), raspberry chocolate from Galler, chocolatier to the King of Belgium, and an Art Nouveau bookmark and cards from the Horta house in Brussels - yes, how lucky we have been to travel again this year - ah, pardon, last year now! Happy New Year, everyone! 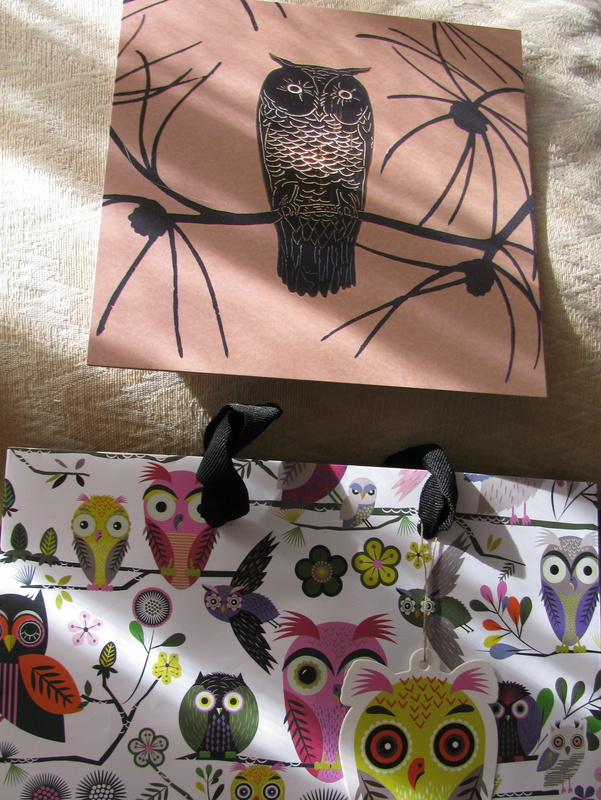 May the owls guide us with their wisdom and protect us with their calm clear sight. In this year, may we know the sweetness of superb food and better books, the blessing of good friends and family that wraps us like a hug. Welcome, 2013! This might be a late Christmas or early New Year present - I don't care! The Crossing! project made the front page of the Lithgow Mercury today! http://www.lithgowmercury.com.au/story/1208103/one-more-notch-in-the-proud-family-tree/?cs=12 . 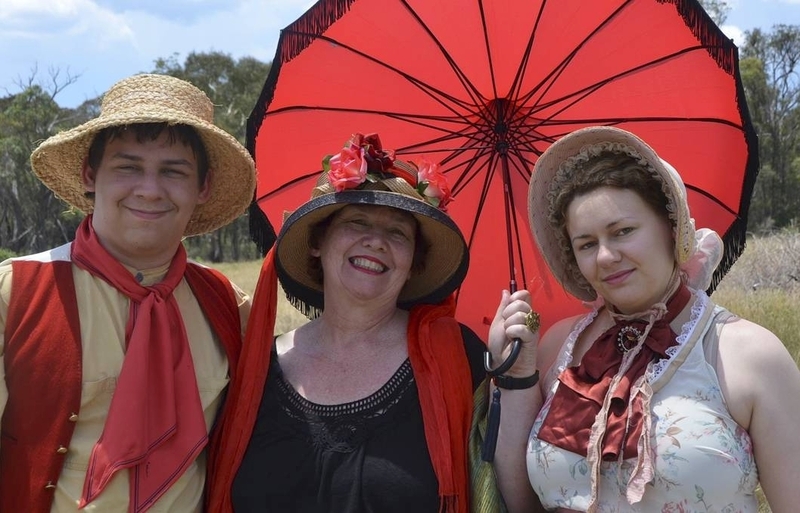 Thomas Blaxland Ashby, Wendy Blaxland, Eleanor Blaxland Ashby at the Hartley photo shoot to publicise the Bicentenary of the Blue Mountains Crossings in 2013. Taken by Len Ashworth of the Lithgow Mercury. Just to put the record straight, Gregory Blaxland is my four 'great's grandfather, and it's five for Eleanor, Jess and Tom. It was a sweltering hot day last Sunday for the photo shoot - not quite what Blaxland, Wentworth and Lawson experienced on 30th May 2013. Read my earlier blog below for more photos from this great photo shoot, and details of the Crossing! play (written and co-produced by me) to be performed through the Blue Mountains and on to Lithgow and Bathurst in 2013! Here are the details of my Next Big Thing! The Next Big Thing is a game of tag for authors. That great author Felicity Pulman wrote about her exciting new book A Ring Through Time, to be published in March 2013, at www.felicitypulman.com.au/blog . Then she tagged me! Sally Odgers, amazingly prolific author. 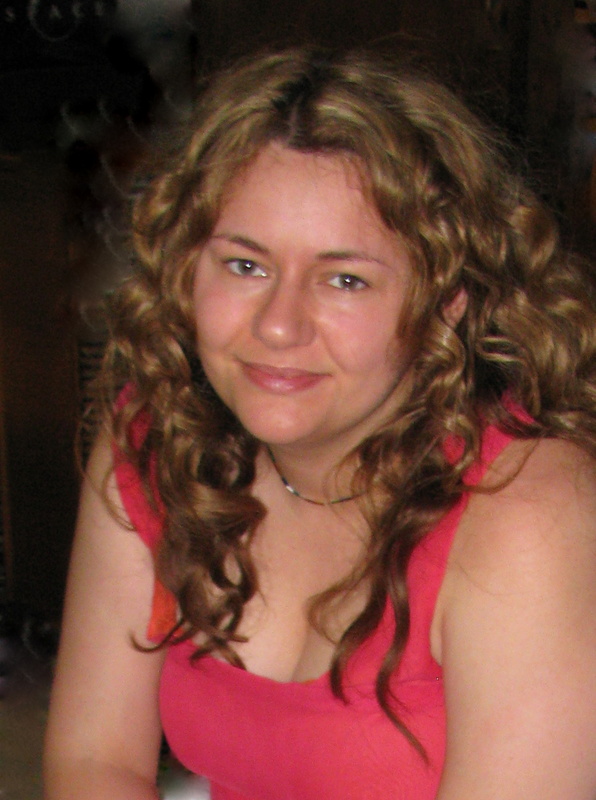 Visit her blog at http://spinningpearls.blogspot.com next week to find out what her next book will be. Then they'll tag other authors. Follow the game around the worldâ¦Where will it end? Now, to the questions about my own Next Big Thing! My own history and that of early Australia. Gregory Blaxland, my great-great-great-great grandfather, was one of three explorers named as the first to cross the Blue Mountains in 1813 and open up the fragile young colony to the west. 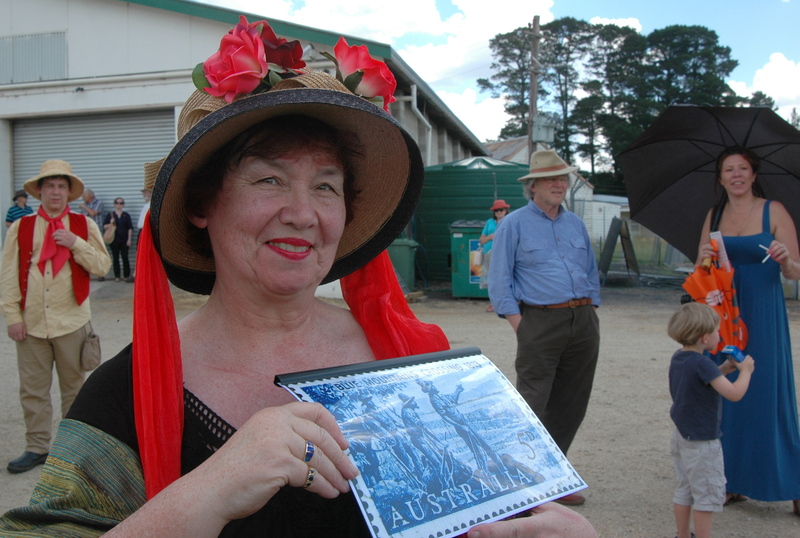 2013 is the bicentenary of this crossing â and my play is part of the celebrations. 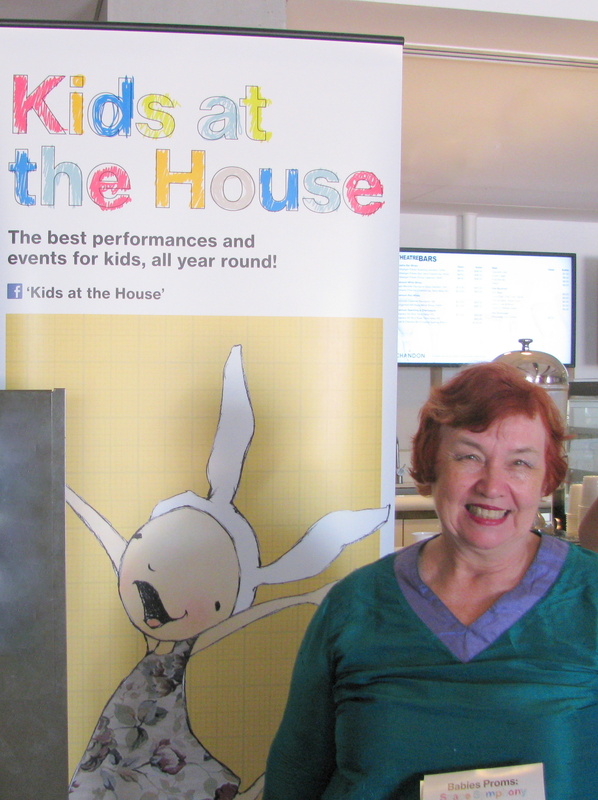 An interactive play for families based imaginatively on history. Oooh - Geoffrey Rush, Tim Minchin, Ian McKellen, Rowan Atkinson, Viggo Mortensen, Johnny Depp, Jeremy Sims, Jake Gyllenhaal, Helen Mirren, Cate Blanchett, Leah Purcell, Helena Bonham-Carter, Eleanor, Jessica and Thomas Blaxland Ashby and a whole team of Australian actors of Aboriginal and European descent. We push through uncharted bush, teeter atop sheer cliffs, marvel at the chime of bellbirds and stories in the firelight until, as our bellies rebel and our feet bleed, we glimpse land far below â and it smells like home. Will your project be self-funded or is the risk shared by others? Both! The Crossing! play has a professional, paid creative team, supported by sponsors such as Nova Employment, local Councils, schools and Chambers of Commerce, far-sighted donors inspired by the project - and yes, our own savings. The genesis of the Crossing! play lay in a solo performance in 1998, but full-time research and writing has taken ten months this year â so far. What other projects would you compare this story to within your genre? the long-running family historical show âThe Ship That Never Wasâ, in Strahan (Tasmania). all the nameless people and beasts whom history leaves without a voice. What else about the project might pique the reader's interest? a taste of fresh damper! Find out more at www.blaxlandanddaughter.com. Sally Odgers, from Tasmania. Sally has written so many books I simply couldnât count them all, including the great Jack Russell, Dog Detective series. 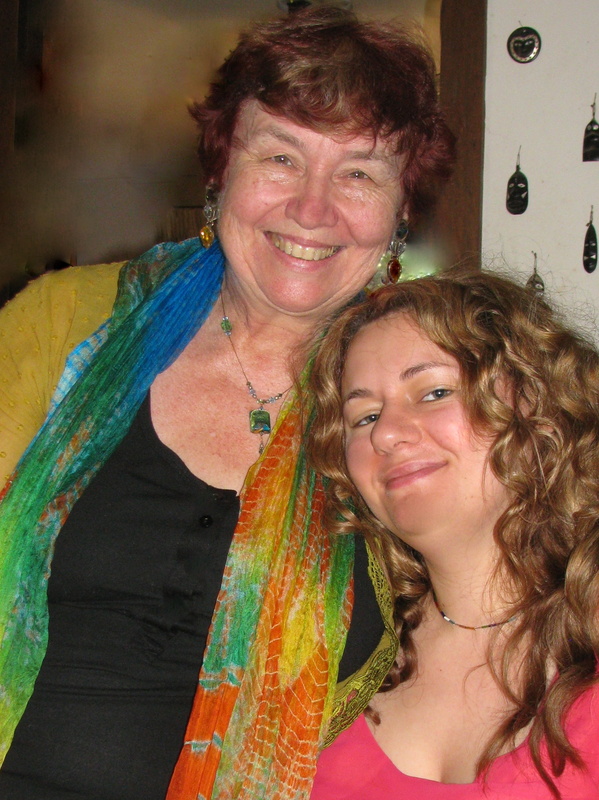 Visit her blog at http://spinningpearls.blogspot.com next week to find out what her next book will be. Look out for more news about Crossing!, and enjoy this precious time between Christmas and New Year. 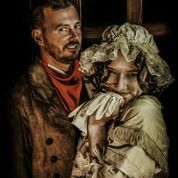 We had real fun dressing up for a photo shoot a couple of days ago about the Bicentenary activities, which will include a re-enactment of the 1813 crossing of the Blue Mountains. That's my son Tom at the left in the background. Couldn't fit the newly fringed parasol in this shot, though. Thanks to Margaret Edwards of iMag for the great photo! Horse and writer meet! 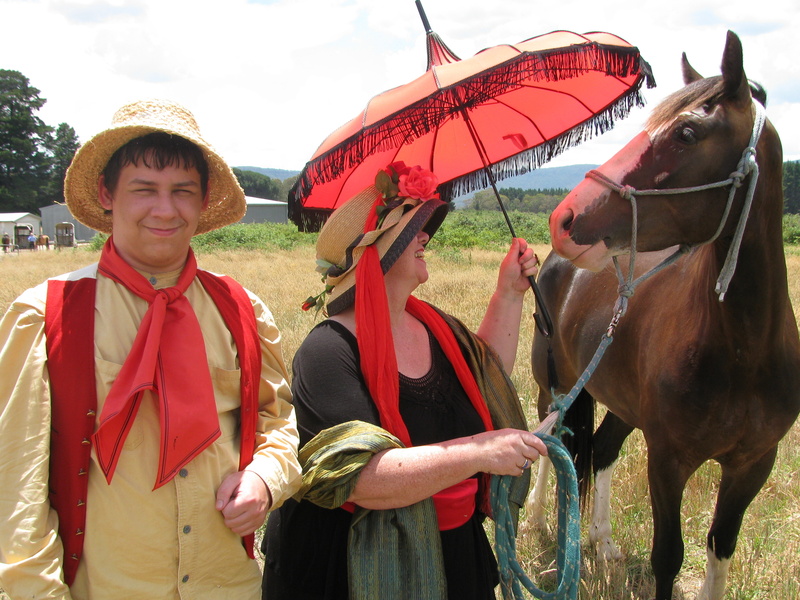 I really needed that parasol (authentic shape for between 1810 and 1820, designer Deirdre Burges tells me), on a sweltering hot mid-summer afternoon at the Hartley Saddlery, and the horse was intrigued - or was she about to have a nibble at the flowers on my hat? Hmmm...And doesn't Tom look authentic? And finally, here you have all four Blaxland Ashbys in Australia (minus Jess, is enjoying yet another English Christmas, but will be back to work on the Crossing! 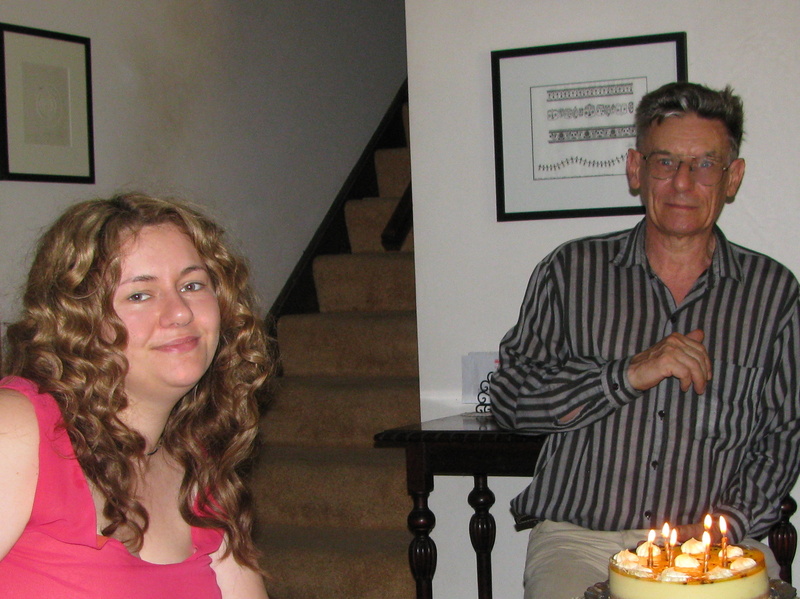 project in mid-February as co-producer): Allan Ashby, Thomas Blaxland Ashby, Wendy Blaxland and Eleanor Blaxland Ashby. Thanks for the support last Sunday, troops!